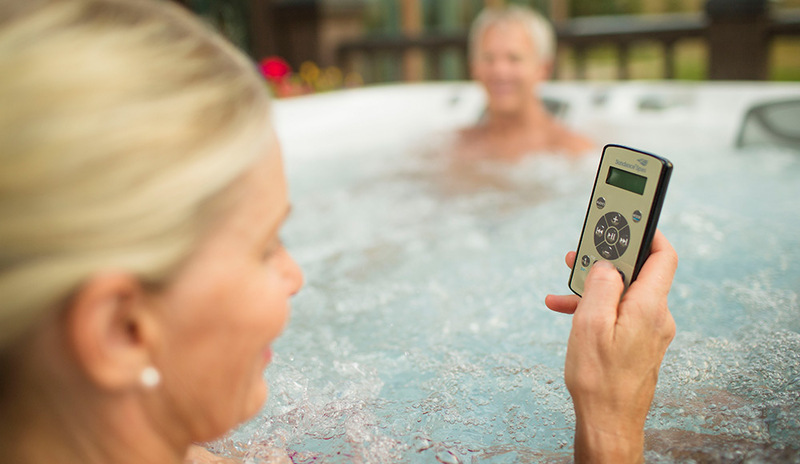 The optional BLUEWAVE® Spa Stereo System is a perfect addition to complete your Sundance® spa; it literally surrounds you with music. 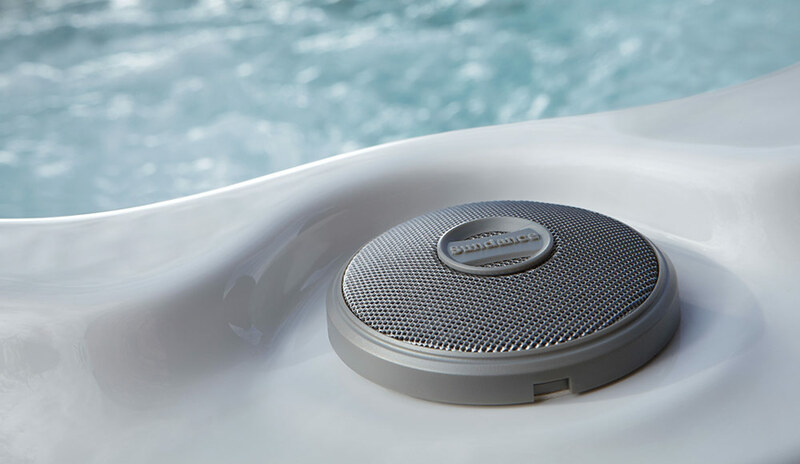 The BLUEWAVE® Spa Stereo System allows you to access the playlist on your mobile device with Bluetooth® Audio. It also includes USB power, AUX input and FM radio. 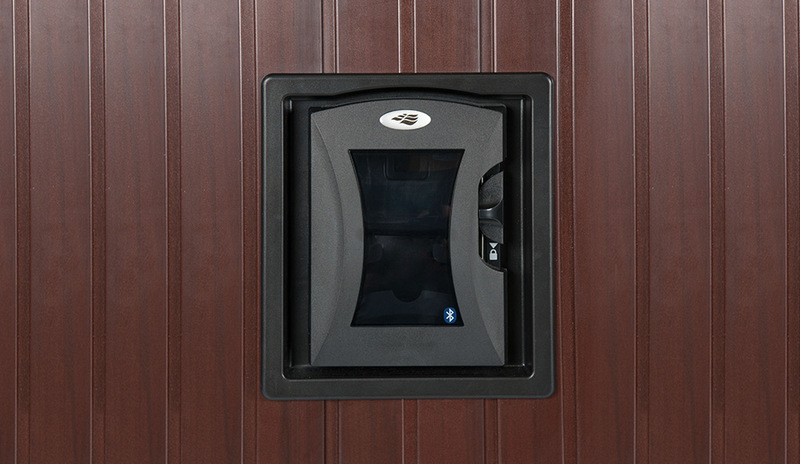 BLUETOOTH® allows you to stream audio from up to 30 ft.